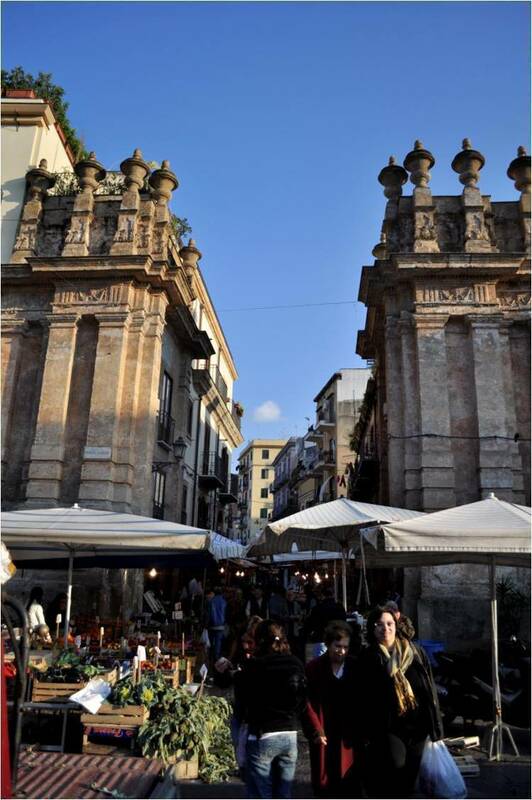 Marzipan House lies in the heart of the historic center of Palermo near Porta Carini which is the entrance of one of the ancient and tipic market of the town. Inside, along these streets you can find many interesting sights such as the church Immacolata Concezione with baroque marble decorations, the church Maria SS. Della Mercede from the 15th century, the church S. Gregorio Magno from the 17th century and the churchs S. Marco and SS. Crocifisso di Lucca from the 16th century. Marzipan house is a spacious, luminous and well-finished flat. 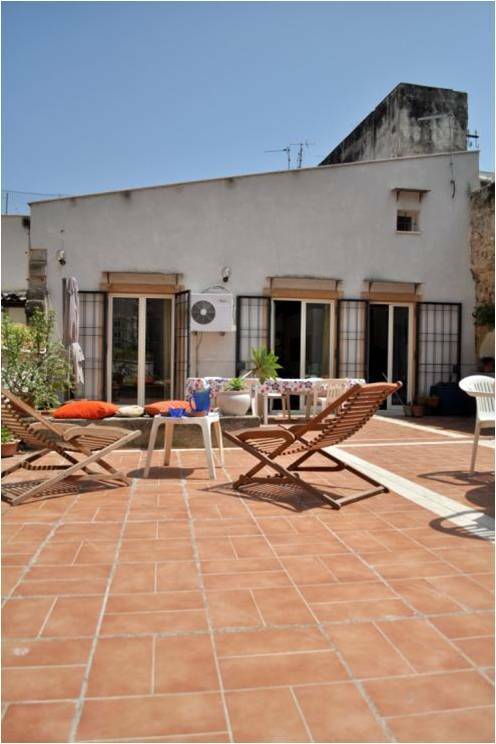 There is also a big living-room with TV and a big terrace where you can have breakfast and the same time you can admire the old town wall. All the rooms are equipped with air conditioning, double glazed windows and wi-fi. 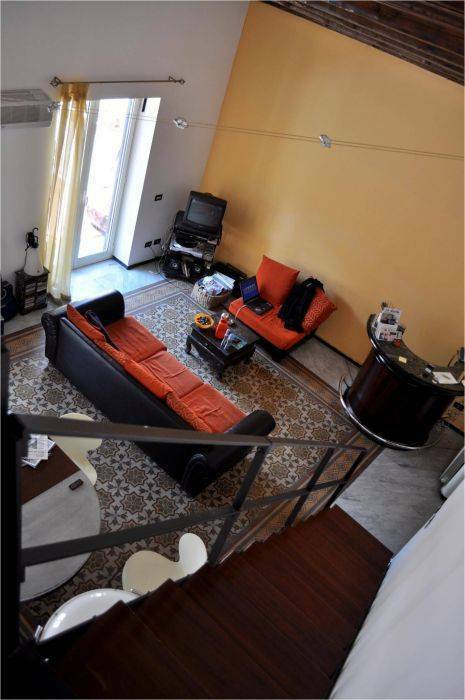 Nearby, for example, there is the Teatro Massimo, a good place from whom you can reach on foot the most beautiful sights of the town: Cathedral, Churches, Theatres and you can also find winebars, restaurants, good shops and pubs. The owners will be disposed to give you information to reach by bus the sea (Mondello) and what you will need during your stay. We have 3 rooms, The yellow, the green and the blue one. The green one is a suite with private bathroom, while the blue and the yellow ones are two very nice standard rooms. All rooms are equipped with air conditioning, double glazed windows and wi-fi. Marzipan house is a spacious, luminous and well-finished flat. 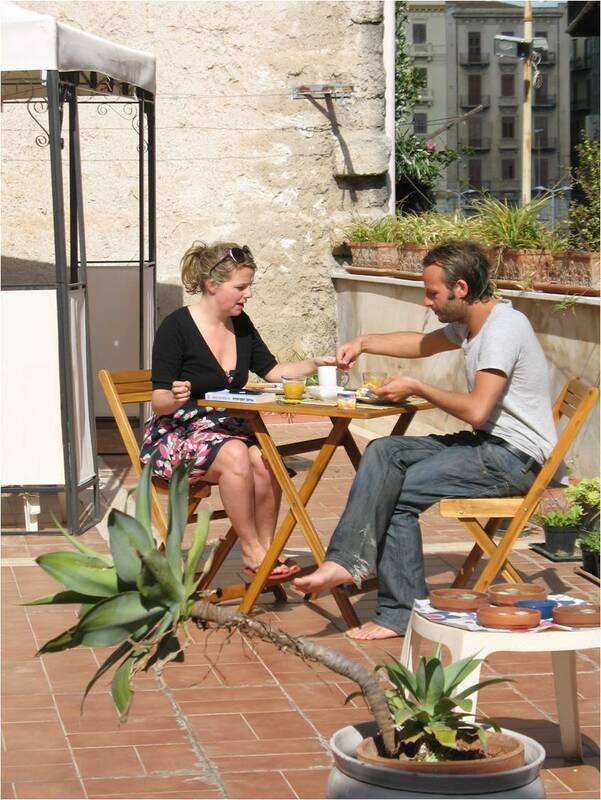 We have also a big living-room where you can relax, watch TV or just take a coffee and we have also a big terrace where you can have breakfast and the same time you can admire the old town wall. the B&B is situated in a ideal position, means you will not need to take buses, as everything you will need, visit and see is within short walking distance from the house. 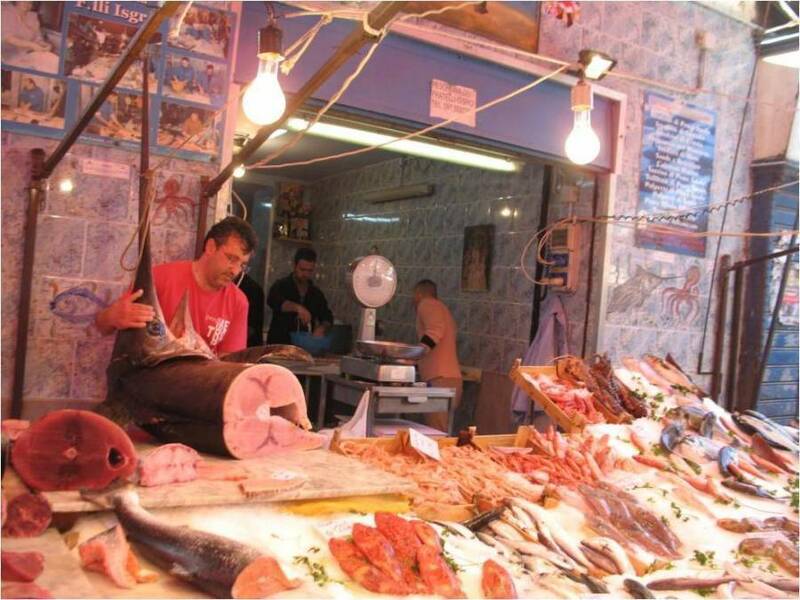 The B&B is on the old Market "IL CAPO", the most famous and oldest market of the city, here you can buy all you need, food, fruit and also clothes!!! 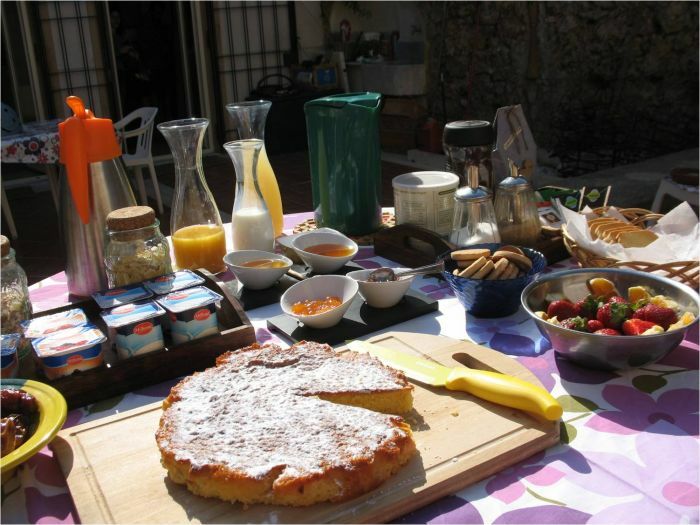 The B&B is in Via Porta Carini at the entrance of the old market "Il Capo". If you need do park your car, no problem: 20 m from the B&B entrance there is the new underground parking of Vittorio Emanuele Orlando square, consisting of 350 places. Regarding motorbikes and bicycles, you will not lose your time looking for a parking because you can leave them in the entrance hall down the B&B. If you want to move by bus, In front of Porta Carini you’ll find the bus stop of the bus number 122 going to the central station. Instead, at 300m walking, in front of the Teatro Massimo, you will be spoilt for choice because several buses pass .